Did you mean saltwater Angelfish? If so click here. Please copy and paste ' [[Category:Angel Fish]] ' into the end of your article to include it in this category. One of the most well known of the Cichlids, Angelfish were once considered king of the aquariums. They have since been supplanted by Discus. 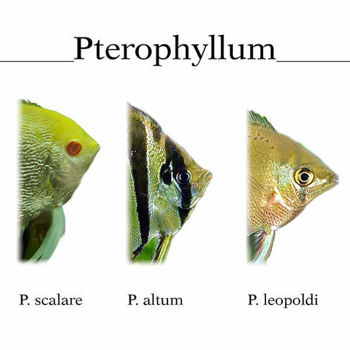 Their reign however created a niche market and a world wide breeding stock of various Angelfish varieties. The most common species found is the wild variety, Pterophyllum scalare. This species comes in many different variations, however most freshwater angelfish sold in the store will be of this species. Pages in category "Angel Fish"
This page was last edited on 12 October 2012, at 18:30.